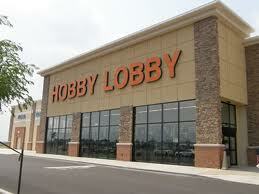 After a nice run of unanimous decisions we got a 5-4 vote from the US Supremes today in Burwell v. Hobby Lobby. For those of you not paying attention to what has been going on, this case involves the Religious Freedom Restoration Act (RFRA), the Affordable Care Act (aka “Obamacare”), Department of Health and Human Services (“HHS”) and two closely held corporations. The corporations are family owned giants Hobby Lobby and Conestoga Wood Specialties.